What is the best way to get good color and finish for my white consumer product? It’s impossible to match unless you are willing to go to Apple-like extremes (hint: long development time and very expensive). For most chemistries white plastic discolors easily under temperature, moisture, oil (human touch! grrr), and UV exposure. For high-energy density products (like phones, power-banks, anything with a high power draw and limited size) the problem is even worse since the discoloration may be localized to the surfaces nearest the heat source making the issue obvious to consumers and perhaps even scaring them into returning, poorly reviewing, or even reporting your product to consumer safety agencies. White paints use chemicals which fall under the EU REACH/RoHS regulations, which forced paint manufacturers to water down solvent levels. There have been several consumer class actions over this issue. 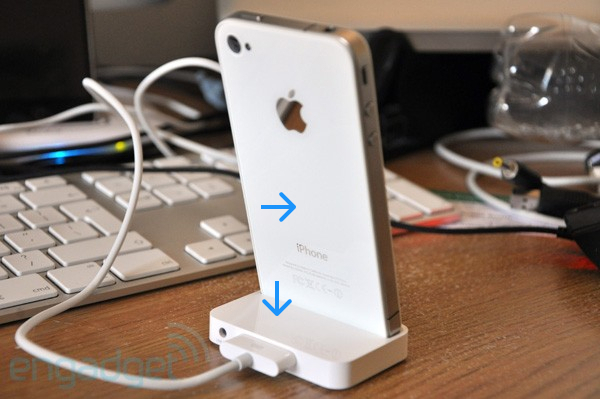 They suffered delays on the iPhone4 (the first white faced iPhone model) due to a large array of problems that included reflections from the white surface interfering with the camera’s operation when using the flash, the proximity sensor being blinded by ambient lighting reflections, supplier difficulties in maintaining consistency in paint thickness and pigment, etc. Two Assembly Core terminals, the aConsole, selected at random from the most recent production run. The photo doesn’t really tell a complete story of how different these parts feel in person. To quantify the problem (and for the fun of it! ), let’s perform a more quantified analysis. In the photo, we’ve marked six locations corresponding to the six parts visible in the photo. We’ll take the RGB dominant value from the photographic region selected equidistant from a target feature. Each of those RGB values will be normalized by converting to the CIELAB colorspace by assuming a D50 reference white, Apple’s RGB colorspace, and then applying the Von Kries Adaptation. The Von Kries method attempts to model human perception, “by applying a gain to each of the human cone cell spectral sensitivity responses so as to keep the adapted appearance of the reference white constant.” The output is a transform matrix that can then be applied to images to produce a weighted version that is more reflected of how a human might actually perceive it. We can then evaluate the distance in the CIELAB colorspace, where the distance is defined in compliance with the CIE1976 standard. It should be noted that CIE, the Comission Internationale de l’Eclairage (International Commission on Illumination), has revised this methodology at least two times (1994, 2000) since it’s introduction in 1976, but those revisions eliminated the useful commutative property of CIE1976 (order of comparison doesn’t matter). In our case, that means our choice of reference “white” doesn’t matter, which is materially useful even if it requires sticking with the ‘76 version that’s slightly less accurate than later versions. 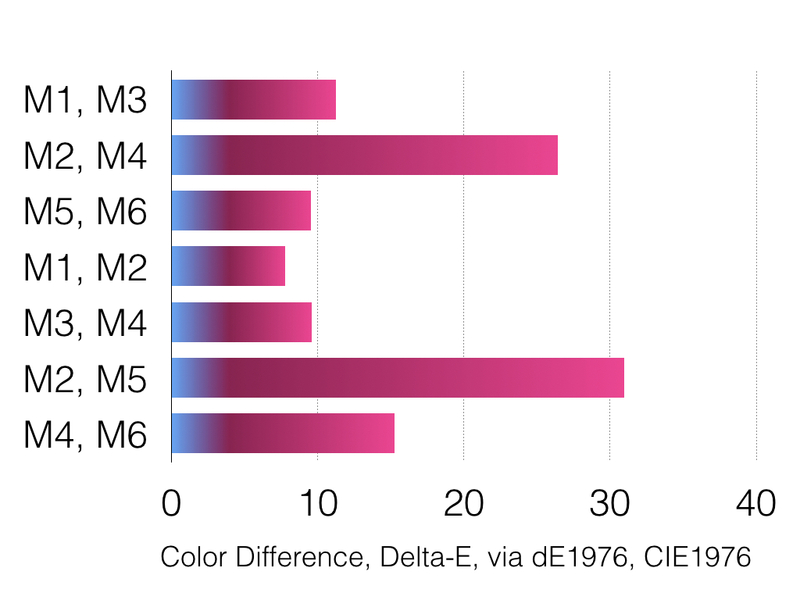 In manufacturing, color quality control is typically described by the parameter Delta-E (dE). dE is a single number that represents the ‘distance’ between two colors. Using CIE1976, that distance is calculated geometrically over the L-A-B colorspace. The idea is that a dE of 1.0 is the smallest color difference the human eye can see. So any dE less than 1.0 is imperceptible and any dE greater than 1.0 is increasingly obvious. 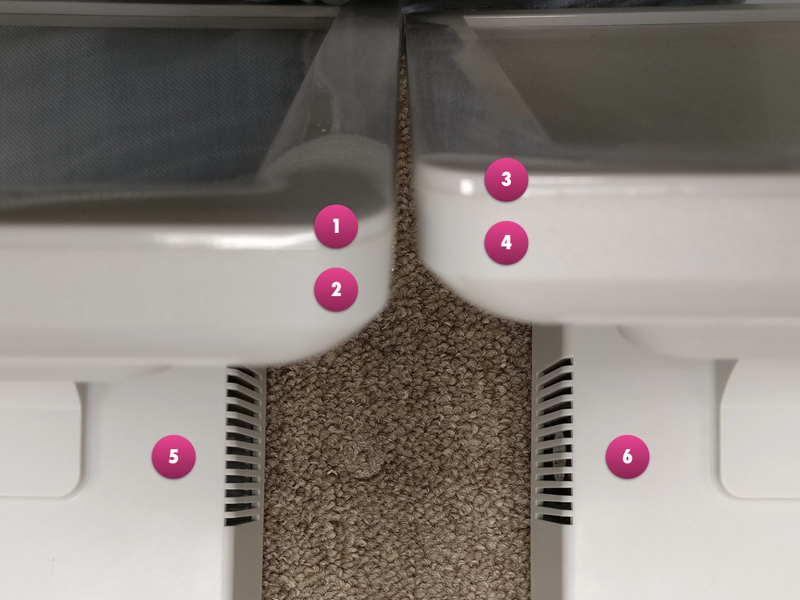 Color difference between various aConsole parts. A difference of 1.0 is theoretically the human eye sensitivity threshold for detecting a color difference. In the figure, the color difference, quantified by the Delta-E parameter, as described above. Although a difference of 1.0 is theoretically the human eye sensitivity threshold for detecting a color difference, we advise that you consider 4.0 the practical threshold. Differences much above 4.0 are generally obvious to most consumers. As you can see here both comparisons between parts on the same unit and between parts across units have significant differences. Obviously, this type of analysis is limited by a lack of perfect ambient light isolation, lack of a calibrated imager, defects in the CIE1976 methodology (distances are not equisemantic across the colorspace), lack of a substantial dataset, et al. However, this analysis is still useful in its illustration of the technique and issues faced in color matching white parts given the large magnitude of its findings. The only super durable way to get white that I know of is to do the same thing sunblock does – emulsified titanium dioxide. That titanium you see in there? yeah… not cheap. In fact, this issue is so painful that in the past I have used the use of white in industrial design proposals as a measure of the firm’s good judgement. For some products (perhaps you fall under home decor), white is such a critical “feature” you just can’t avoid it. In that (any) case, China (and most of the world) runs on Pantone. Many facilities can work with other systems, but Pantone is the most widely accepted by far. I wouldn’t stray. Your material and process choices are critical. You will need a UV stabilized plastic. The most common is a UV stabilized High Density Polyethylene (HDPE). That’s what’s used to make most good outdoor plastic furnishings. You should be careful and read the MSDS as some UV stabilizers are not FDA compliant – which is relevant in medical, food, and harsh environments (high temp, humidity, etc). Try not to put white parts next to white parts as matching the color will prove very difficult (this happens frequently with shell/enclosure/body parts where doors or other cavity covers end up in them). 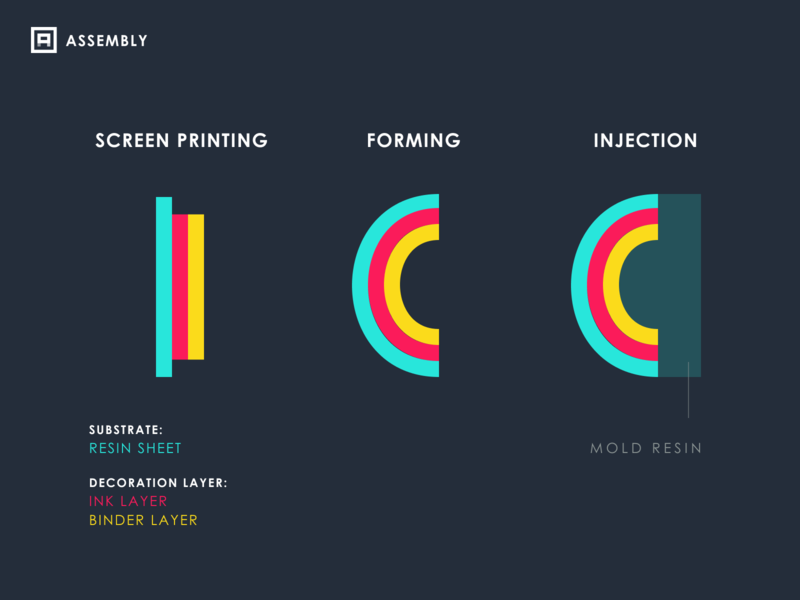 The different sizes imply different pressures and temperatures in the injection molding process and this will result in subtle (but noticeable) color shifts for all the materials I’ve ever seen. Personally, I think you’ll have better luck with a light gray plastic and coating it, as you can do all the parts in the same coating batch and at least start with the same color. If you go the coating route, don’t forget a UV-blocking sealant. I’ve heard there are good polyurethane formulations for this, but I’ve never used any and I don’t recall all the safety/regulatory issues with polyurethane (there are some). One last alternative idea that might help, fibers and paper products tend to fare better at long-term whiteness, so perhaps you could use a glass or clear acrylic (acrylic is almost transparent to UV) element with a white paper product behind it to get a durable white outer surface. You might also consider In-Mould Decoration (IMD) which essentially works by placing an upside down sticker on-top of your plastic part during the moulding process. Any tips? If you have experience in the space, please get in touch! We’ll keep this article updated with any feedback we receive or new experiences we encounter. Lai, Richard. “White iPhone 4 delay: the challenges faced by Apple’s glass supplier”. Engadget. Accessed April 6th, 2017. Millan, Mark. “Why Apple can make a white iPad but not a white iPhone”. CNN. Accessed April 6th, 2017. Lindbloom, Bruce. “CIE Color Calculator”. Accessed April 6th, 2017. Upton, Steve. “Delta E: The Color Difference”. Accessed April 6th, 2017.